It’s the end of the school year, and that means it’s that time again – the time for Moms to come up with teacher gifts that show how much you truly appreciate them caring for your children for hours each day. Now, I think teachers are absolutely amazing and deserve the most appreciation in the world. We should definitely recognize the contributions that they make, and there’s no better time to do it than after a whole year of their hard work. It's just that I barely have time to make dinner, let alone try to come up with an original and fun idea to gift—no matter how much I think they deserve it. 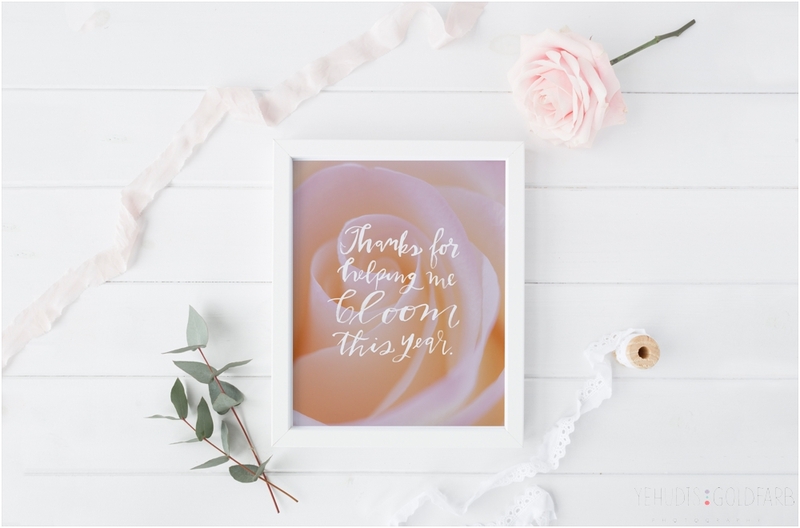 THREE stunning flower images (with a beautiful hand-lettered quote) that are ready to be printed as an 8x10 at home or through a professional printer. These images are sure to brighten up any teacher’s desk or classroom—or even their homes! All you have to do is enter your e-mail address. The images will be delivered right to your inbox (along with a link to my favorite printer). So, go ahead, complete this form and click the button below to gain instant access and sign up for my newsletter. I promise to email you with great things, relevant to your life as a Mom, but not too often, and you can unsubscribe at any time!